Exciting offers on cheap air tickets to East Africa. Browse Brightsun.co.in now! East Africa is one of the most stunning and diverse places in the world offering something special for every type of traveller - from the heights of Tanzania's Mt Kilimanjaro to the vast planes of the Serengeti and the continent’s vibrant modern cities and traditional Swahili trading towns. This region is world-famous for its fascinating safari excursions, extraordinary landscapes, dense rainforests and colourful marine life. There is so much to explore here; enjoy camel riding in North Kenya, experience a journey on an ancient Arabic sailing vessel, dhow around Entebbe in Uganda or take a hike around the Udzungwa Mountains National Park in Tanzania to explore stunning landscapes. Brightsun Travel offers cheap air tickets to East Africa, so that you can enjoy everything that its fantastic destinations have to offer. You can also visit Harare, the Zimbabwean capital to explore majestic parks and gardens, sprawling African plains and spectacular natural scenery. Don’t forget to take part in various adventure activities here, including mountain biking, white water rafting, boating, skiing and bungee jumping. Addis Ababa, the capital city of Ethiopia is a glorious East African destination. This cosmopolitan city is home to several beautiful castles, captivating museums and monasteries. Must-see attractions here include the Lion of Judah Monument, the Washa Mikael Church, the Bete Maryam Mausoleum and the National Museum of Ethiopia where you can browse a collection of ancient statues and artworks. 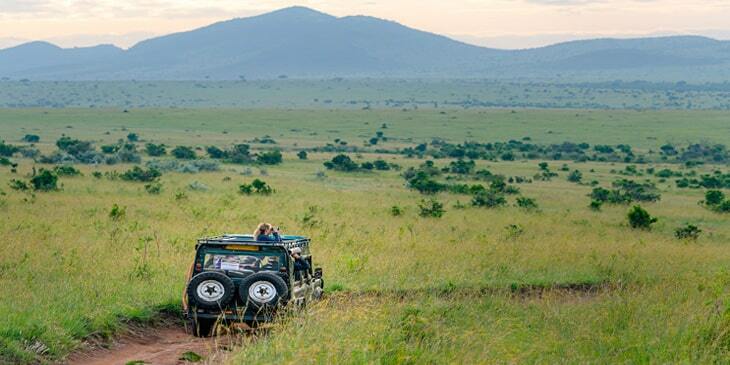 Another prominent East Africa destination is Kenya, renowned for its world-class safaris and exquisite beaches. Visit the Masai Mara National Reserve to spot rich wildlife, including the Amboseli elephants, flamingos and rhinos. Kenya’s capital Nairobi offers a range of activities; you can go ice skating at the Panari Sky Centre, watch local plays at the Kenya National Theatre, dine at an open-air restaurant and take a stroll around the Maasai Market to buy Kenyan paintings, wood carvings and local jewellery and fabrics. Head towards Mombasa, the seaport city of Kenya to enjoy epic scuba diving and snorkeling. Brightsun Travel offers a range of cheap flights to East Africa destinations all year round, so you can look forward to planning the trip of a lifetime!